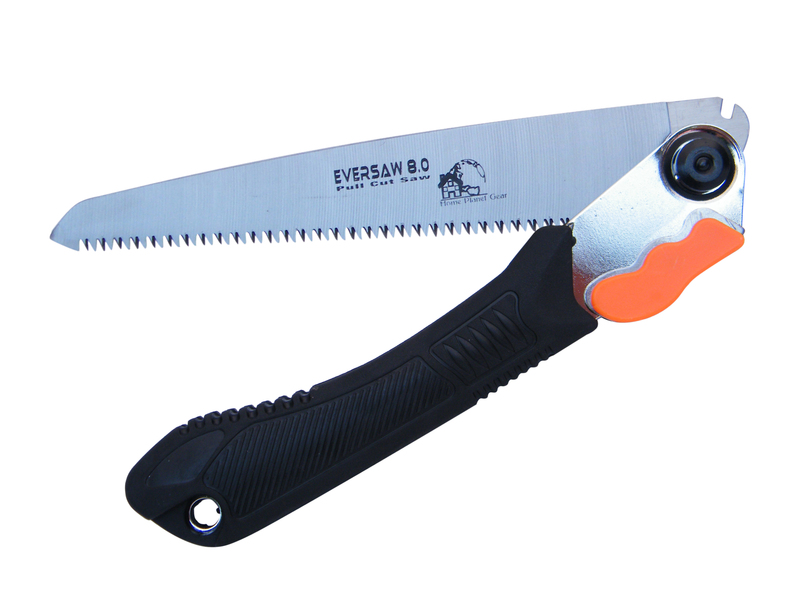 The EverSaw 8.0 is an exceptional folding hand saw useful for a variety of purposes. It’s small enough to easily fit in the hand allowing for good control. 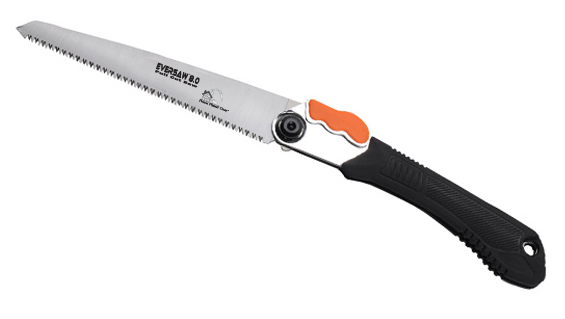 The rubberized handle offers a steady grip while cutting. The 8″ blade has hardened metal with blade teeth sharpened in three directions making for a quick, straight and clean cut. With a steady pulling action, the saw makes short work of medium size tree branches, wood, plastic and bone. The blade length, size of the handle and the sure grip make the work of collecting and trimming firewood a much easier chore. The blade locks into position when open and can be folded into the handle for ease of carrying while traveling, hiking and camping. It’s useful for collecting and trimming firewood when in the wilderness. It can cut through small to medium branches, wood, bone and plastic.